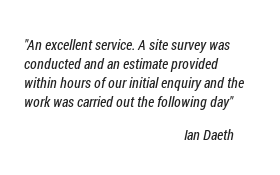 Our KAT Locksmith shop provides a fast and friendly service stocking everything you will need to repair, improve or service your security requirements. 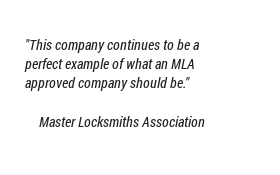 We stock a full range of products ranging from a basic rim Nightlatch to high security locking systems. In our security workshop our bench locksmiths build masterkey locks "in house" and carry out lock repairs, lock manufacture, making keys to locks, making groups of locks to fit the same key and many other tasks. 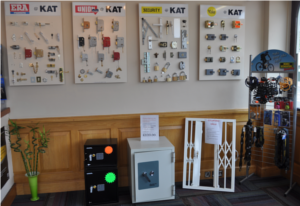 All the leading makes are available to view in our showroom, so please feel free to pop in and discuss your security needs. 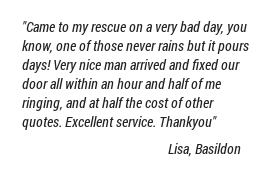 We are not just locksmiths, we pride ourselves on being able to solve all your security problems. We can supply and fit locks on wooden doors ranging from a 3 lever deadlock/sashlock on a bedroom door through to a British standard 5 Lever Deadlock under BS3621 to your front door. We can supply and fit locks to UPVC doors ranging from a cylinder change right through to a whole new multipoint locking strip and handles and we can supply and fit locks to Metal doors and windows ranging from a mortice deadlock to an Adams Rite hook lock/Bar lock/Latch, which are most commonly fitted to shop fronts. Please note many insurance companies require a BS 3621 5 Lever deadlock to be fitted to your last exiting door and key locking windows to comply with the policy. We can fit locking handles to windows and we can fit key operated locks to various metal windows all of which can be seen at our showroom. Do you need an extra safe key? Have you snapped your key? Have you forgotten your combination? If so we can help. We can supply and install various locking systems for fire exit doors, it is a legal requirement that you have the correct panic hardware fitted depending on who uses the building. The new Asec Kite anti-snap range includes cylinders offering a TS 007 1 Star rating, which will give protection and reassurance to end users. The cylinders which are anti-snap, anti-bump, anti-pick and anti-drill are compliant with the BS Kitemark to guarantee quality and safety. In addition to the cylinders the range includes security door handles which have a TS 007 2 Star rating. When combining the cylinders and door furniture the Star rating increases to 3 Star providing the ultimate protection and ensuring the highest security. We stock all the leading Brands.